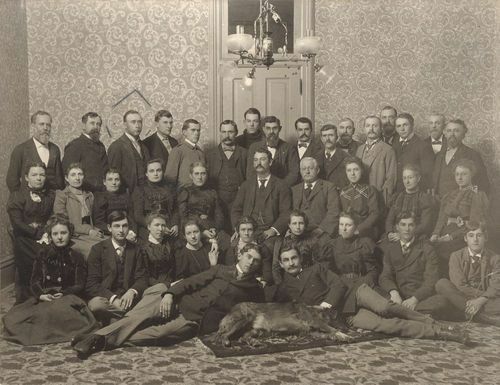 This photograph shows the staff of the State Industrial School for Boys. The school opened its doors in 1881 to educate young men who had committed criminal acts. The school was located north of the capitol building on about 170 acres of land that was given by the city of Topeka.